The most amazing part about the internet and social media is that it has opened up communication between people and businesses that was never possible before. We now have the ability to talk to our customers and for them to talk to us in an interactive fashion, allowing for clear lines of engagement that can be both public and private. For car dealers, this has translated into an incredible way for them to broadcast their messages and get feedback in real time. On Facebook, people can like, comment on, or share their posts when they appreciate them... and even when they do not. The world is completely different than it was a decade ago when the most powerful method of online communication, the email, was still relegated to being private. This all means that dealers can receive interaction, but it also means that they're required to deliver interaction right back at their customers. Every day, we see dealers who are not taking advantage of this. People will comment on their Facebook posts, talk about them on Twitter, or respond to their blog posts and YouTube videos, but we then see many of the interactions going one way. The people are talking to the dealers but the dealers aren't always replying. This is a big mistake because proper two-way communication breeds more communication. When people see your posts and also see that you're replying to the people that are commenting, it makes it more likely that they'll want to comment even more. It also creates a proper feedback mechanism. A lot of dealers are doing this best practice on review sites, but then the same dealers are failing to engage on social media. When you allow social media to be a way for people to engage in a proper discussion on automotive topics, you're allowing them to help you get more reach for your messages. The more you comment back, the more new comments you'll get. The more new comments you get, the more people will see the posts that are getting the comments. 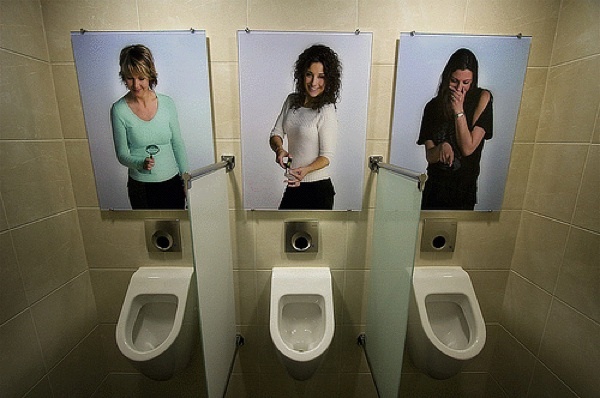 It's a great way to increase your message exposure. Perhaps the most important reason to reply to everyone who comments on your posts is that it's simply proper manners. If someone says "hi" to you in the grocery store, you'll usually say "hi" right back at them even if you don't know them. It's good form to reply to those who talk to you and that carries over to your social media interactions. Dealers that are doing this well can take it to the next level. They can get involved with other conversations of a general interest to the local community and start to really express the dealership's personality. This is key on social media. After all, part of being "social" is interacting with as many people as possible. The streets in the social media world run in both directions. Savvy dealers are making sure that they're not just seeking engagement from others but that they're being engaging as well. If you can get over that fear and if you want to get your YouTube channel some watches while helping to get your content seen and heard, it's a quick and easy way to kill a couple of birds with a single stone. The concept is pretty simple. Write a blog post, then read it off while recording a video. Attach the video to the story and now you have an easy way for people to either read your blog post or watch it. Perhaps more importantly, it takes the art of writing and allows you to get creative in the fastest growing medium. Remember, everything is going mobile. While it can be annoying trying to read a blog post on a smartphone, listening to it on YouTube is often much easier. If you get good at recording the audio from the posts and applying it to either a visual of yourself reading it, a slideshow, a scrolling transcript, or other images that are pertinent to the video itself, you can make for an alternative experience for your content. By now, if you've been reading what I've been posting the last few months, you know that content marketing is the key to current and future search and social success. Businesses who really want to do what sites like Google and Facebook really want them to do will be using high-quality content on their websites as the hub through which they can make their marketing blossom. This should by no means be interpreted that activities such as link-earning and social signals are not useful. In fact, the core of true content marketing to drive higher search results and stronger social interactions is still based around earning links and generating social engagement. It's for this reason that guest posting is a practice that should be considered if you want to get into more advanced techniques. First, you have to be able to put high-quality content on your website and/or blog. Guest posting does not replace this. If you are having trouble finding the time to keep your own site active and growing, guest posting is something that you should consider. If you're doing well with your website and/or blog, then guest posting can generate exposure, earn links, and even send direct traffic to your website. As with all things in 2013, it all comes down to quality. I say it a lot, but it cannot be overstated. This is simple but it's also important enough to mention here. If you're running the marketing for a car dealership, write about cars. Write about the local area. Write about cars in the local area. The biggest challenge is that we're often so immersed in "what we know" that we have a hard time identifying what can be interesting enough to get picked up by other blogs or websites. Sometimes the easiest way to fix this issue is to be mindful of what you learn about your industry. Fresh knowledge to you in your industry is likely brand new to others, so identifying "on the fly" can make it easier to find topics. The second biggest challenge is that we tend to write in some pitching or marketing into our guest posts. At no point should you try to work in your credentials, products, or services into guest posts. You won't be accepted as easily if you do. The value that you receive from guest posting is in the links and the establishment of authority within the industry. Teach and/or entertain with your post, then link to your website either in context (we'll discuss that further later) or at the very least within the author's bio box. Some blogs and websites won't allow it, but whenever possible you should try to link to an article or piece of content that you've already placed on your own website or blog. Let's say you write an article about preparing an older vehicle for long trips. You can post an article first on your own website about summer maintenance tips, then include a link to it within the context of your guest post. Make sure it's natural and truly fits in. One of the most common times when we go on longer trips is for summer vacations. There are [summer maintenance activities](link) that you can do prior to the trip that can handle much of the preparation you'll need to do before heading to the beach. As long as the piece you're linking to is informative and not pitchy, most will allow it to fly. One important portion of last year's Penguin update for Google was to devalue footer and resource box links while increasing the value of contextual links. If you can get those contextual links, your guest post will be much more effective, but that doesn't mean that you should bypass guest posting if your target publication only allows resource box links. Both help. This is the hardest thing to start and the easiest to finish. Once you see your content posted somewhere, it becomes much easier to push forward. You may think that the only place you'll be able to post is something that is hyper-targeted to your industry. This isn't true. In fact, it's sometimes easier to get a guest post in related industries rather than your specific industry because they likely already have experts in your industry. In other words, a car blog has plenty of car bloggers, so they might not need your car content, but a tech blog who has a bunch of tech bloggers might be interested in seeing interesting technology posts about cars. I know, as I accepted a guest post at our tech blog that was about automotive technology just the other day. Local news publications are also good targets. They like local writers and with a strong series of content you can even get a regular posting spot. This is good, especially for branding in the local area, but don't get stuck on one site. The more places you can guest post, the better. Again, this is not a replacement for putting quality content on your own site. It's an enhancement if you're already putting the content there. Your goal in modern marketing is to use high-quality content to get exposure, links, social shares, and traffic. Guest posting is a tool that should be in your arsenal. Here's a video from last year from Google's Matt Cutts. Notice the importance of quality. Like I said, it can't be stated enough. It's possible to format and utilize Google+ as a lite blogging platform. This is not necessarily a good replacement for those who already have a valid and active business blog, but those who are getting started or who never been able to generate real traction to their blog can take advantage of some of the things that Google+ does well. * Formatting - While it's not nearly the type of formatting that is available on true blogging platforms like Wordpress or Tumblr there's enough formatting options on Google+ to make it work. Again, this is only good as a lite version. * Length - The constraints present on other social networks are looser on Google+. Sure, you can use hacks to plug in a blog on Facebook and there are tools available to fake a blog through Twitter, but posting directly to the feed is only possible from a length perspective on Google+. * Instant Rankings - While I haven't tested beyond my own accounts, I know that Google+ posts tend to rank extremely quickly and very high for good keywords, particularly for those who follow me. Even unauthenticated web searches present Google+ posts. * Tie-In to Google Local - The local components of Google through search and directed from other locations are generating more and more traffic. Reviews, maps, information - all of these give people reasons to visit a Google account for a business. Once there, people are often unable to find anything interesting on the pages because of how infrequently most post to their Google+ page accounts. By making it a lite blog, this can change. The disadvantages are numerous, of course. Links, images, videos - pick one. Unfortunately, you cannot mix and match different media types. You also can't put them in-line the way you can on real blogging platforms. Unless you are one of the lucky ones with a vanity URL, it's not easy to get people to your G+ page without using a custom short link. At this point, anything that can get businesses communicating more robustly with their customers and potential customers is a good thing. It's not that I would prefer that people use Google+ for blogging over Wordpress, Blogger, or any of the true blogging platforms, but if it's convenient enough to make businesses act, then it's worth describing in a blog post. I guess that's what I just did. There has been a continued push for corporate and even local business blogging since marketers started discovering the potential benefits several years ago. We're often told that a blog is where you put your content that doesn't necessarily sell your product, and that an offsite-blog is the way to go. In today's content marketing world, both ideas are wrong. The one constant in internet marketing (and everything else in life) is change. Ideas that worked yesterday may not work today, but may work again tomorrow. It's the nature of the beast. Content marketing is a portion of internet marketing that has evolved rapidly over the years. In recent months, it has become arguably the most important component of an internet marketing strategy because both search engine marketing and social media marketing have become extremely dependent on the quality and style of content. Blogging is something that every business should be doing. Many are. The challenge is that the concepts of the past are starting to become less valid. For example, many (including us) have said that blogging off of your domain either on a standalone URL or a subdomain of the primary was the best way to go. It allowed for more powerful link-building from a search perspective as well as giving an additional destination that wasn't tied into the primary website. In short, you put your business material on your website and your human material on your blog. There were those who believed that bulking up the primary website by putting the blog as a subfolder of the primary domain was the way to go. Today, this is correct, but not for the reasons that most once argued. Blogging is no longer an appropriate SEO play, at least not from a "bulk" perspective. The concept that you should blog to get more pages for Google and Bing to index is antiquated. Yes, you should be putting high-quality content on your website, but blog content in the traditional format doesn't quite qualify. Putting content on your website on or off the blog and using it as individual content "hubs" is the (current) right way to do it. That can change. It almost certainly will. Thankfully, it's not one of those strategies that must be unwound later when things change. Blog-Only - With this strategy, every piece of content that you publish that isn't directly associated with selling, business information, or other services goes on the blog. This is ideal if you don't publish very often. Blog "Fun Stuff" and Put Other Content on Your Website - If you're busting out a good flow of content on a regular basis, you may choose this strategy. In it, you'll post "fun" content such as employee-of-the-month or customer-highlights on your blog, but relevant content of general interest on your primary website. The example to the right uses this strategy. 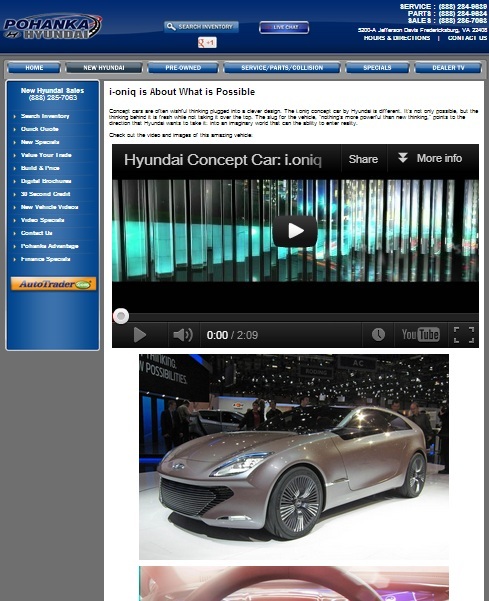 In it, a Hyundai dealership posts a promotional video and interesting images of a concept vehicle. This is relevant but not directly associated with selling anything in particular. No Blog - The old ideas of what blogging should and shouldn't be have been blurred over the years. Just about any type of content can go on a blog, but that same content can find a place on the primary website as well. Rather than a chronological posting style, this technique employees categorization in the menu. If you post a customer testimonial, it goes in that category. If you then post a video and images of a concept car, that goes in another category. It doesn't matter when they were posted; both get equal treatment in the menu bar. Once you've established a style, it's time to get the content out there. The biggest mistake that marketers make with blogging is to believe that there are size constraints. Some want all of their posts to be 300-words, 500-words, or larger. Others like to keep it quick and easy. In reality, content is content and as long as it brings value to the visitor, it's worthy regardless of size. That does not mean that you should post only a paragraph or two with every blog post. Just because it's not a make-or-break deciding factor doesn't mean that you should opt for the shortcut. Let your content size be determined by the potential value it brings. If you have a killer video that tells the whole story, a paragraph will probably be enough to make it a valid piece of content. The video is the star of the page in that scenario, so highlight it. On the other hand, a resource list of tools that people can use to buy a car should be more than just a list. Describe the pros and cons of each tool. Give a little history about them. Describe why you believe one tool is better than another tool for certain needs. Above all, remember that high-quality, unique content is what you should be striving for in each piece that you create. Bring something to the table. It's better to spend the time to make a page that people will want to share rather than posting unworthy bulk content over and over again. Say what you need to say to bring value. No more. No less. 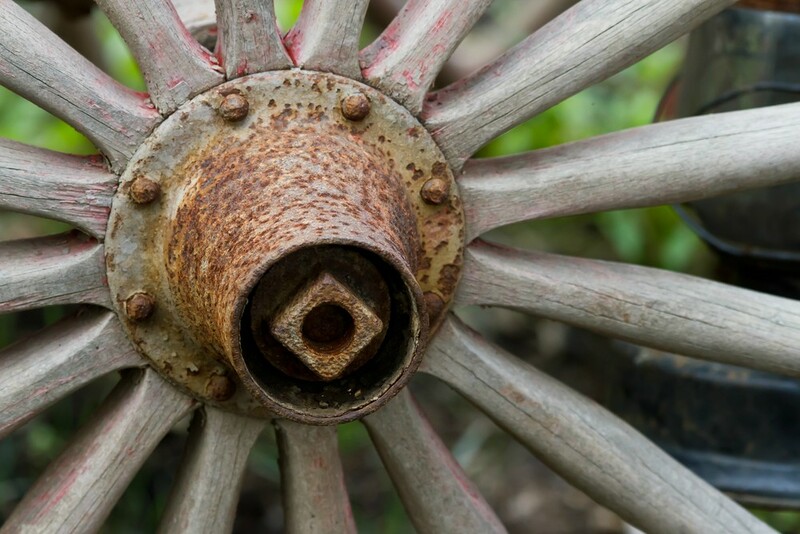 The hub and spoke model has been used in business, government, and life in general for centuries. You have a centralized focus point from which other components can branch out and draw their strength. You website content should be your content marketing hub. Some have chosen to turn other tools into their hub such as Facebook, niche communities, or even Tumblr. These strategies can be effective if done right. Doing it right is the challenge; they are extremely difficult to pull off, particularly in a retail setting. Complex strategies surrounding these different styles may prove to be the best way to go in the future, but today the benefits do not outweigh the drawbacks. Your goal is to put content on your website that others will be willing to share. The various types of social media sites out there give you a tremendous pool of potential share venues. Facebook and Twitter are the most common, but one mustn't forget Google+, Pinterest, Tumblr, and some of the other social sites out there. A website that gets shared on social media gets benefits from three fronts. The first is obvious; any time your website is shared there's a chance that people will come and visit it. Depending on the power and reach of the profiles sharing it, you might get a nice spike in traffic. Even though it's the most obvious, it's also the least important. Visitors are nice, but those who come from social media shares are often the lowest value. The second is becoming more important every day. Social signals are important to Google and Bing in their search rankings. They're becoming more important with every update. The more your website content is shared, the better the domain can rank. Notice that I said, "the better the domain can rank." It's not just the page itself that gets a benefit from your efforts. The domain gains credibility from the shares. If you're a car dealer, there's a good chance that people are not going to share an inventory details page of a vehicle they just found. They're not going to share your service appointment page. They're not going to share your oil change specials. They will, however, share an interesting video and great images of a Hyundai concept car that they found on your website. By sharing this and similar pages, the search engines give it an authority bump. The final front from which social media sharing can help is in sheer public perception. This is of light importance today but will grow in coming months as the social sites focus on domain shares. What's happening is this: widgets and apps are displaying "most shared" or "other pages from this domain" on the social sites themselves as well as offsite. The perception that content is sharable on a particular domain is going to become more valid in the near future. If your website has lots of good content that people have shared, they're more likely to explore your website. Again, this is minor today but is growing in importance. 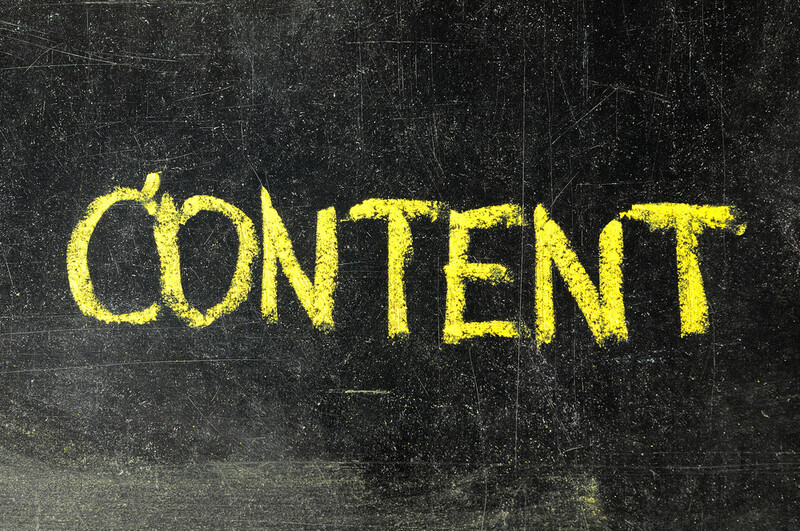 In the meantime, keep reading everything you can about content marketing. It's not just the future. It's already here. Those who do content marketing properly are able to bypass traditional search engine optimization and social media marketing strategies because the content can be positioned to do all of the work for you. Employee misunderstanding is a very different proposition to a deliberate disregard for the rules or a plain mistake, whereby an employee simply does something that they didn’t mean to (like forgetting to back up computer storage or putting a decimal point in the wrong place)…. The financial cost of employee misunderstanding is immense…. Of the industries we researched, banks suffer the greatest losses and transportation the least. Loss of business due to unplanned downtime was the largest area of loss attributed to employee misunderstanding. What causes employee misunderstanding? Poor, unclear, or no communication, leaving employees without the knowledge they need to do their jobs correctly. There is more evidence. An SIS International Research study prepared for Siemens Enterprise Communications in 2009 explored and quantified communication difficulties experienced by small to medium-sized businesses, up to 400 employees. The researchers concluded that waiting for information, unwanted communications, inefficient coordination, barriers to collaboration, and customer complaints caused productivity losses estimated to be $26,041 per knowledge worker per year. Unfortunately, even college graduates are not getting the preparation they need to communicate effectively in writing. In Academically Adrift: Limited Learning on College Campuses (University of Chicago Press, 2011), authors Richard Arum and Josipa Roksa concluded that 45 percent of students “did not demonstrate any significant improvement in learning” after two years of college; and that 36 percent “did not demonstrate any significant improvement in learning” after four years! [The authors] review data from student surveys to show, for example, that 32 percent of students each semester do not take any courses with more than 40 pages of reading assigned a week, and that half don’t take a single course in which they must write more than 20 pages over the course of a semester. Everyone who applies for a position at either of my companies, iFixit or Dozuki, takes a mandatory grammar test. Extenuating circumstances aside (dyslexia, English language learners, etc. ), if job hopefuls can’t distinguish between ‘to’ and ‘too,’ their applications go into the bin. Writing skills are important now more than ever in this age of digital communication, says consultant David Silverman, contributing editor to the Guide to Better Business Writing, 2nd Edition (Harvard Business Press, 2011). “With text messages and emails, most business communication nowadays is written,” he says. “Unfortunately, our reliance on written communication, which is increasing, is inversely proportional to our abilities and our willingness to learn.” Yet written communication, he emphasizes, makes up the private and public faces of your company. Silverman helps employees in government agencies and corporations of all sizes develop better written communication skills. The worst mistake we all make? Writing too much. “Being succinct requires time and effort, whereas including everything under the sun seems safer,” he says. Many companies see good writing skills as an indicator of leadership potential, Silverman says. So what should knowledge workers be able to do? “Tell a story that people will remember,” Silverman says. “Tell a story with pictures, and remove extraneous information.” In other words, think about what will be in your reader’s mind as you write. Is it cluttered, or is the path to the crucial information straight and clear? Naturally, the rules for good writing depend on your goal, Silverman notes. Are you striving to instruct, or just to entertain? “The only viable reason to send a business email is to request action,” he says. To write emails that people will read—and act upon—use clear subject lines and include your call to action at the top. “Your messages must answer the reader’s questions, ‘What do you want me to do?’ and ‘How will I know I’ve done it?’” Silverman emphasizes. Have someone else read your work. Wait an hour and read it again before pressing Send. As you prepare your training budgets for 2013, consider devoting some of your expenditures to developing your employees’ writing skills. After all, even if you only cut that lost productivity of $26,000-plus in half, that is a pretty significant return on investment (ROI). *Although the word “grammar” may seem yawn-inducing to some, it is a hot topic: Wiens’ post has generated more than 3,200 comments since it was published. Let there be absolutely, positively no mistake here. "Tags" have completely different uses depending on the platform on which they're used. We're going to take a look at three of the most popular platforms and how tags affect them: Wordpress, Ning, and Tumblr. Before we dive into each, let's get one thing out of the way. Those who say that tags are old and no longer useful are simply being lazy and encouraging the same. It takes less than 30 seconds to come up with a handful of appropriate tags to go along with any blog post and therefore it falls under the category of "why not?" Nobody outside of Mountain View, CA, knows for certain how tags benefit search engine optimization. They do, however, definitely have an opportunity to benefit the reader. It's a best practice that is getting pushed aside by many. Don't fall into the laziness trap. Tag away! Depending on how you have your site indexing set up in the back end, tags allow search engines to find similar articles. The two major types of taxonomy, tags and categories, are intended to help people navigate a blog. As a result, Google and Bing will follow tags and categories in order to see what level of understanding a blog has on each individual topic. The tag pages themselves, once visited, will give the search engines a depth-of-content picture. For example, if you have a blog for a Nissan dealership that often uses the tag "Altima", the search engines will be able to see that you have written a good amount of content on the topic. Many would argue that they know this already and that semantic indexing is designed in part to replace tagging as a method of establishing authority, but again, "why not?" It definitely doesn't hurt to tag. It probably helps on Wordpress, even if only a little. There's not reason to skip the few seconds it takes to add them. On the Ning social platform, tags work in ways similar to Wordpress, but with an added bonus. Blog posts on Ning do not have categories the way that discussions do. As a result, tags become the primary taxonomy that search engines and readers use to navigate a site when they want to see similar articles. Some have also speculated that there is a direct SEO value to the individual post, that the search engines look at tags very similar to how they look at highlighted content and will give a post a lift in the rankings as a result. This is unconfirmed and I've never tested it myself, but I would speculate that it is true. This is an entirely different ballgame. On Tumblr, tags are everything. The community lives off of tags in a way that is similar to hashtags on Twitter, but there are certain ones that are eternally "trending", so to speak. Tags are Tumblr users' primary method of discovery. Tumblr has devalued them a bit in recent months and focused on "Spotlight" that highlights individually influential tumblogs rather than the community-rich "Explore" page that lets people surf tags, but they're still extremely important and can help a new tumblog get found by the community. Getting found on Tumblr is the key to both social exposure and search; reblogs by other Tumblr users are extremely important and can mean the difference between having an invisible tumblog and having an extremely popular one. At the end of the day, the real benefit of tags should be for the readers. Google and Bing may or may not pay attention to them, but allowing your blog visitors to latch onto a particular topic and follow it all the way through is a way to make your blog stickier. Again, it takes second. Why not? For business blogs, Wordpress and Tumblr are the best options out there. I'd add "in my humble opinion" but that would detract from the absolute force of my opinion. Google's Blogger has made some amazing changes recently and I would not argue against it as a decent platform, but it lacks the plugin compatibility of Wordpress and isn't quite as easy to use as Tumblr, so it doesn't fit into this particular argument. We're going to focus on the two extremes - those who want the most powerful and those who want the easiest. Keep in mind, today's blogging platforms are all easy to some extent as well as powerful. The most important criteria is access and comfort. In other words, if you're doing well and posting consistently with Typepad, for example, don't go changing because some guy says Wordpress is more powerful or Tumblr is easier. If it works with you, keep at it. For those who want the most gadgets, plugins, and flexibility, Wordpress is the hands down winner for business blogging. It can act as a full-blown content management system for those who know how to use it, or it can stay true to its original calling and act as the premier blogging platform. There are so many themes available and dozens more being created every week. Perhaps most importantly, its PHP base allows it to works seamlessly with modern concepts such as adaptive website design and HTML5. It has massive collection of plugins. The only bad part is that one must be careful not to install too many as it can slow down the site and bloat the code. With caching, Wordpress is practically indestructible. You could hit the front page of Yahoo with a story and still stay online with a decent host and the stories cached. Google and Bing love the code. Between the instant pings once a post is published to the clean way that the code presents itself to the search engines, those who want to rank with their blog posts must use Wordpress. It ranks better than Blogger, a Google property. Decent access to social media through the right tools makes it one notch below Tumblr when it comes to true social media integration. Don't get me wrong. Tumblr does have some robust features that allows it to be a strong platform for even the most active power bloggers, but that's not the reason that you use it. It's possible to post as quickly as you can type (or copy and paste in the case of image or video posts). The platform makes it super-easy to instantly format. For example, Wordpress out-of-the-box requires the embed code plugged into the HTML to present a video. You have to know the dimensions of your blog and use the old embed code from YouTube. Tumblr, on the other hand, only needs the URL. It auto-formats it to the right size - no embed code needed. A strong built-in community allows for instant visitors to your site through proper tagging. Reblogging makes posting content easier than even posting the unique content. Unlike Wordpress, Tumblr actually encourages reblogging and tracks it for the source. Direct integration with Facebook and Twitter is native to Tumblr; there are Wordpress plugins available, but native is always better for integration. There is nothing wrong with using a subdomain on Tumblr.com. It's just as robust as putting it on your own domain, whereas Wordpress.com is a symbol of weakness. Again, and I cannot stress this enough, all of the major blogging platforms are powerful and easy. You can do a ton with Tumblr and you can post quickly to Wordpress. It really comes down to preference and what feels right for you. Whatever it takes to get you excited and active as a blogger for your business - that's the right platform with which to go. 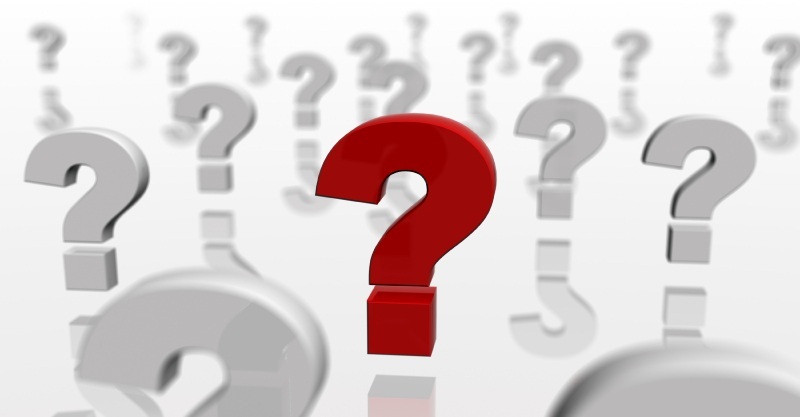 Are You Asking the Right Questions About Your Message? I've learned that coincidences don't really happen. There's always a reason. As I worked on my story today regarding content, I stopped to check Facebook and found exactly what I needed, courtesy of Jeff Glackin. What you say in all of the media types - television, radio, print, social media, search marketing, billboards, etc. - has an opportunity to reach people. Often I'm asked questions about spends and ROI. Will $10,000 spent on social media give the same or better yield than $10,000 spent on television? Should I sink everything into online marketing or keep my offline marketing going strong? Should I minimize my internet spend to just a website and classified ads and move the rest of my budget offline again? The answer to all of these questions is the same. It depends on your message. That's it. The real question isn't whether or not a social media spend is better than a radio spend. The real question surrounds the way that you're putting your message out there. The words are often much more important than the medium. This topic deserves much more research and examples than I can put together today, but it's important to get in the right frame of mind before exploring this topic more fully. To do this, I'll rely on a pretty good video on the topic. It's not a superb video but it evokes emotion and gets the basic point across. As evident in those statistics above, a blog can increase your website traffic, as well as your leads. However, it's not as simple as just creating a WordPress account or logging into Blogspot. A blog, just like social media, has to be kept up, maintained. In fact, companies that blog at least twenty times or more a month, see a SUBSTANTIAL increase in website traffic and leads. This is just one of the many benefits of having a blog. It gives you another avenue of customers to explore and reach. It helps to amplify your voice online for your dealership. For your blog to be effective and useful, you must blog at least four/five times a week, or in between 16-20 times a month. There's no point in setting up your blog if you're only touching it every few weeks. That's what they call wasted real estate! The more you blog, the more likely you'll see an increase in your dealership's visibility online, and this is where SEO comes into play. All right, so you're blogging full-time and you should be showing up on the first page of Google in no time, right? Not so fast. With each post you create, there should be optimization taking place. You need to be do some research when it comes to SEO (Search Engine Optimization). You need to know the keywords your customers are using when they head to Google to do research. Once you begin blogging more frequently and using the appropriate and industry-relative keywords in your posts (Optimizing), your online visibility will increase. The benefits are obvious. You'll see a bump in website traffic. You'll receive more leads. You'll become a trust named and dealership online your customers can trust, and therefore, someone they could recommend to their friends and family. 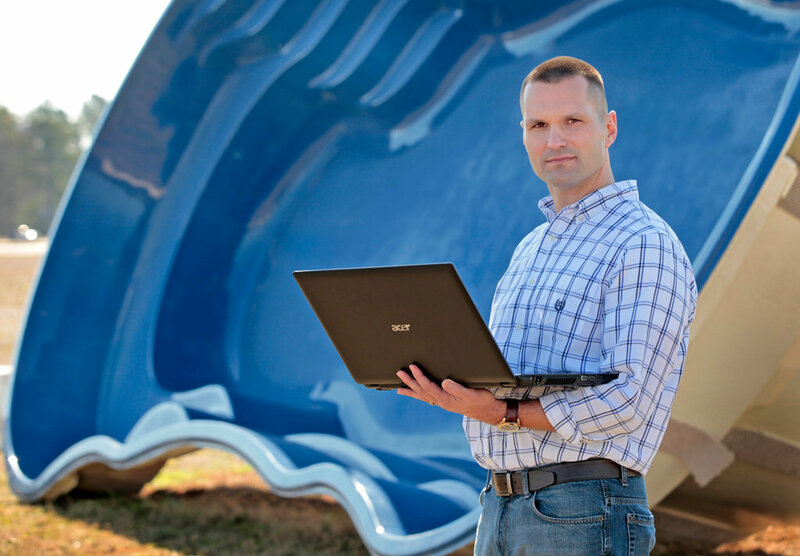 If your dealership doesn't have a blog, why not? As social media continues to grow in influence in the automotive industry, Nissan is connecting with that powerful force to help create an ultimate street/track 370Z, called “Project 370Z.” Launched at a special blogger media day at the 2012 Chicago Auto Show. Nissan enthusiasts are invited to vote on modifications and follow the construction online through Facebook.com/nissanperformance. The finished vehicle will be revealed May 17 at the annual ZDayZ gathering in North Carolina. At the show’s social media day, in the second year it has been held, Nissan also hosted a Google+ Hangout, and made sure the bloggers were introduced to culinary delights provided by a Southern Mac & Cheese Nissan NV food truck. Guests were also treated to Nissan’s new “virtual new car experience” using Microsoft Kinect technology. I am proud to be a salesman, because more than any other man, I and millions of others like me, built America. The man who builds a better mouse trap - or a better anything - would starve to death if he waited for people to beat a pathway to his door. Regardless of how good or how needed the product or service might be, it has to be sold. Eli Whitney was laughed at when he showed his cotton gin. Edison had to install his electric light free of charge in an office building before anyone would even look at it. The first sewing machine was smashed to pieces by a Boston mob. People scoffed at the idea of railroads. They thought that traveling even thirty miles an hour would stop the circulation of the blood! McCormick strived for 14 years to get people to use his reaper. Westinghouse was considered a fool for stating he could stop a train with wind. Morse had to plead before 10 Congresses before they would even look at his telegraph. The public didn't go around demanding these things; they had to be sold!! They needed thousands of salesmen, trailblazers and pioneers - people who could persuade with the same effectiveness as the inventor could invent. Salesmen took these inventions, sold the public on what these products could do, taught customers how to use them, and then taught businessmen how to make a profit from them. As a salesman, I've done more to make America what it is today than any other person you know. I was just as vital in your great-great-grandfather's day. I have educated more people, created more jobs, taken more drudgery from the laborer's work, given more profits to businessmen, and have given more people a fuller and richer life than anyone in history. I've dragged prices down, pushed quality up, and made it possible for you to enjoy the comforts and luxuries of automobiles, radios, electric refrigerators, televisions, and air conditioned homes and buildings. I've healed the sick, given security to the aged, and put thousands of young men and women through college. I've made it possible for inventors to invent, for factories to hum, and for ships to sail the seven seas. How much money you find in your pay envelope next week, and whether in the future you will enjoy the luxuries of prefabricated homes, stratospheric flying of airplanes, and new world of jet propulsion and atomic power, depends on me. The loaf of bread you bought today was on a baker's shelf because I made sure that a farmer's wheat got to a mill, that the mill made wheat into flour, and that the flour was delivered to your baker. Without me, the wheels of industry would come to a grinding halt. And with that, jobs, marriages, politics and freedom of thought would be a thing of the past. I AM A SALESMAN and I'm proud and grateful that as such, I serve my family, my fellow man and my country. Great Article by Brian Pasch I found on Dealer Refresh - "SEO is still relevant amongst Google’s changes "
Brian Pasch is the CEO of the PCG Digital Marketing and an active writer for the automotive community. You don’t have to be a social media expert to know that posting fresh relevant content on your Facebook Page is a must if you want to keep your customers engaged. One way to consistently post content and engage with your consumer is by syndicating your blog to automatically feed into your Facebook page every time you publish a post. Whenever a post is added to your blog, it will automatically display on your Facebook page's news feed for all your fans to view. Whether you subscribe to Dealer.com’s blog platform or not, if you have a blog you should be syndicating it to gain readership and offer your customers fresh content on a regular basis. 1.Find your RSS feed URL - Visit your blog's home page and click on the orange button labeled "RSS 2.0", click it and copy your RSS feed's URL in the address bar. 2.Edit Your Facebook Page -Go to your Facebook Fan Page and click "Edit Page" beneath the Page profile picture. 4.Paste the URL - Paste your blog feed URL in the Web URL box and start importing. Be aware that once you set up your blog to be imported into Notes, Facebook will pull previous posts into your feed. Once set up, it will scrape your site daily for new posts. Now that you have your blog set up to post to Facebook, start writing!